Sossusvlei Desert Lodge in Namib-Naukluft Park, Namibia. In the arid Namib Desert, Sossusvlei Desert Lodge’s spacious villas, with stargazing skylights, provide a cool retreat. The sparkling swimming pool is fed by an underground spring, there’s a fire-lit bar for evening drinks and wrap-around windows for compelling desert views. A raft of activities await – dune walks, quad bikes, hot-air ballooning – but the soaring red sand dunes of Sossusvlei are a must-see. When the sky explodes at night with stars, the lodge’s astronomers are on hand. 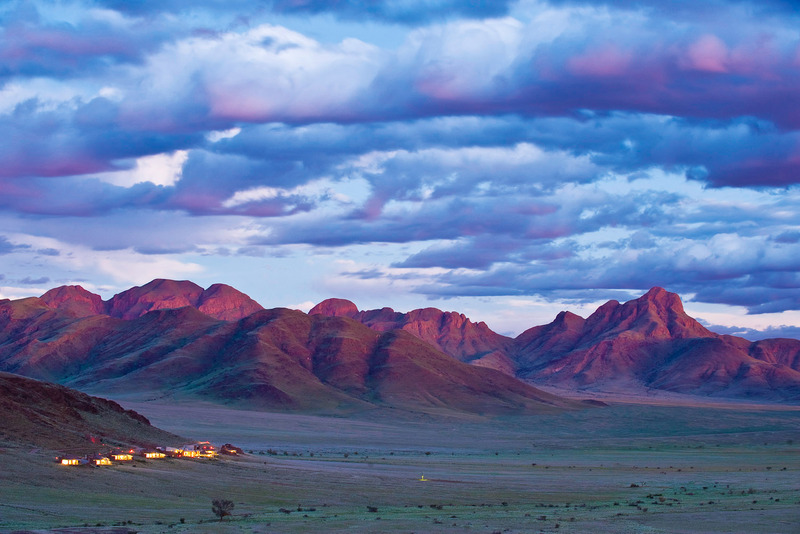 Did you know Dunes at Sossusvlei tower up to 200 metres – they shift with the winds and change colour in the day.